When was the first time you saw a kiwi? 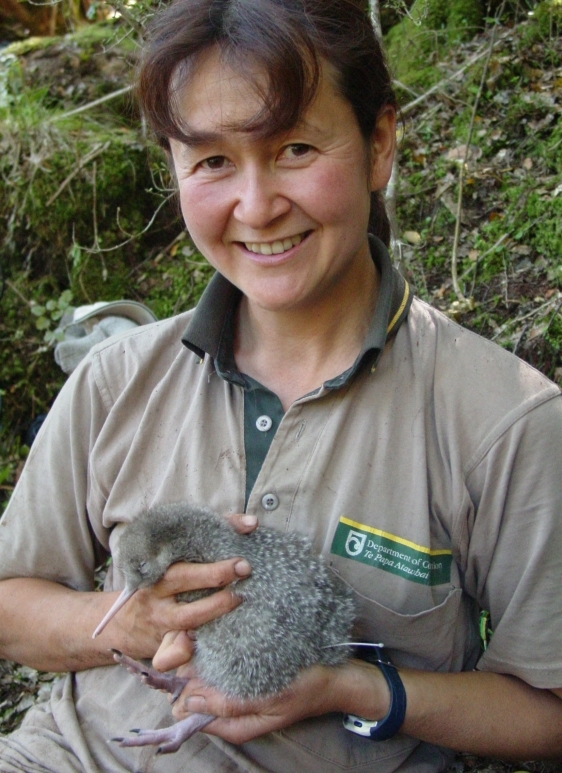 In 2005 during a study on the north branch of the Hurunui River. We were catching kiwi at night using recorded calls. It was awesome being in the kiwi’s environment on its terms. Hearing it respond to the played calls, listening to it as it made its way through the bush to the perceived intruder, and then a mad chase to catch the bird. 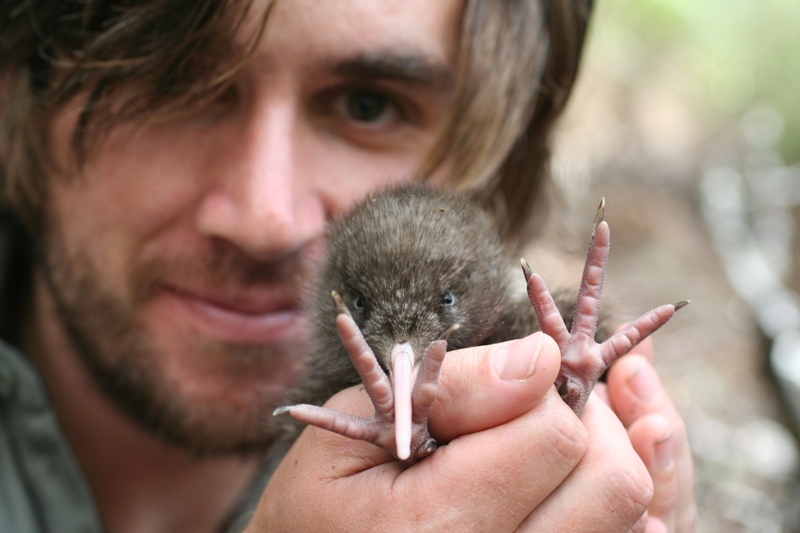 Do you have a favourite kiwi species? I only have experience with great spotted kiwi. Why do kiwi need our help? 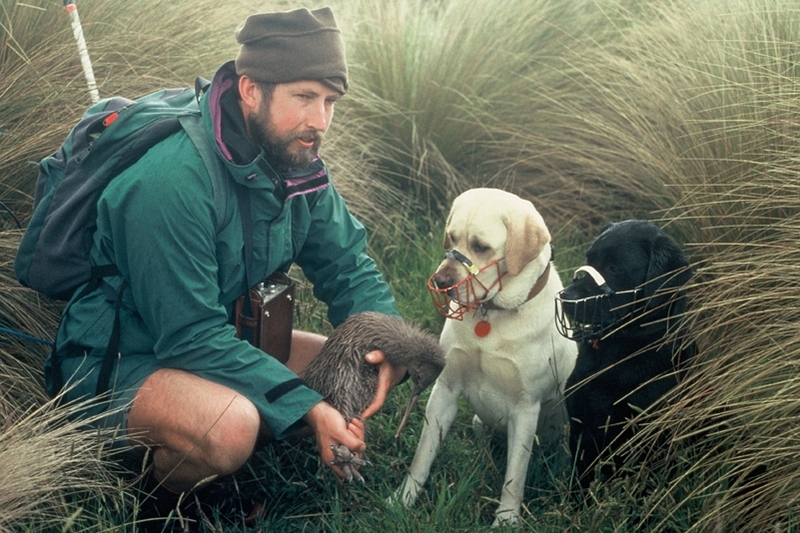 Without predator control, New Zealand will lose kiwi in the wild. It’s just a matter of time. They cannot evolve quickly enough to respond to the devastation caused by predators. How does your job help the kiwi? 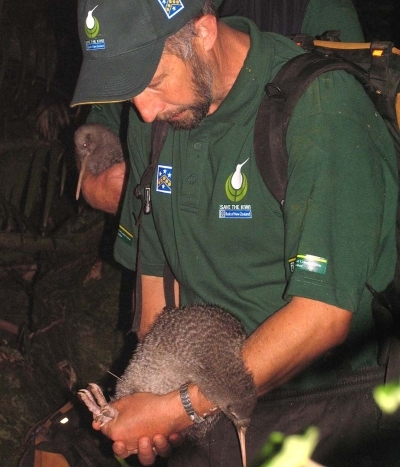 Creating an environment where kiwi can survive – my main job is predator control. Part of my previous research job was to determine the success of different predator management strategies and to provide advice on predator control. What’s a highlight from your work with kiwi? Observing and learning about kiwi. Also, giving others the opportunity to experience kiwi in the wild. What’s the best way to see a kiwi? Unless there are large increases in the intensity and scale of predator management, night walks in sanctuaries are the best way to see kiwi. There’s nothing like hearing kiwi in the wild. There’s also lots of video footage from nest monitoring. It was during a trip to Ulva Island to study tīeke/saddlebacks and robins while I was working for Otago University. I was trying to figure out what a robin was up to, while studiously ignoring a noisy weka scratching away a metre away from me. 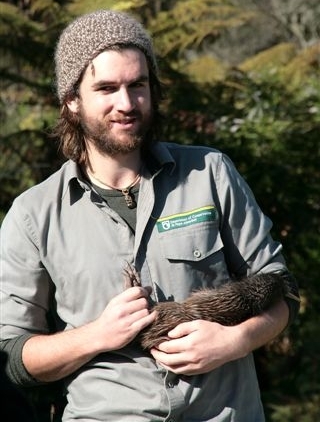 Finally, in exasperation, I scowled at the weka – only to realise it was a kiwi. The kiwi figured out what I was at the same moment – we both did a classic double take as we realised what we were seeing! The great spotted kiwi. Big, beautiful, and hangs out in the best part of the country – the top of the South Island! Kiwi are in decline all around the country and it is our fault – we have modified their habitat and brought in other species which kill them. We have a responsibility to be kaitiaki/guardians for our precious kiwi, and help them to get back to where they should be – in good numbers right throughout the country. I put together the recent ‘Saving our kiwi’ Budget bid – with a lot of help from others of course! There have been a lot – the top three would be finding a great spotted kiwi chick right on the bushline in Nelson Lakes National Park; seeing a kiwi just after he’d hatched, not long after we’d spent all night lifting his egg out of the Taranaki bush; and of course when we found out we had been successful in our bid for money to turn around the decline in kiwi numbers and get their populations growing. Go down to Stewart Island and take a walk – there’s still good numbers down there and they come out during the day! Or failing that, spend lots of time in the bush, you’re bound to run into one… eventually. The first time I ever saw a live kiwi was at the Wellington Zoo in the 1960’s. The poor bird was hauled out of the burrow every day from 12 pm to 1 pm and shown to the public by the zoo keeper. As a small boy, dead keen on anything to do with our native birds—and especially kiwi—it was a disappointing introduction. I was far too small, and at the very back of the line. The adults seemed to take precedence in getting to pat it. I don’t have a favourite species—all have their own charms, but there are one or two individuals that stand out. One being Baldrick, a real battler, that is now living on Matakohe-Limestone Island in the Whangarei Harbour. This individual has a strong connection with me as I saved the egg from certain death after finding it in a mud encrusted state next to a blackened rotten second egg. 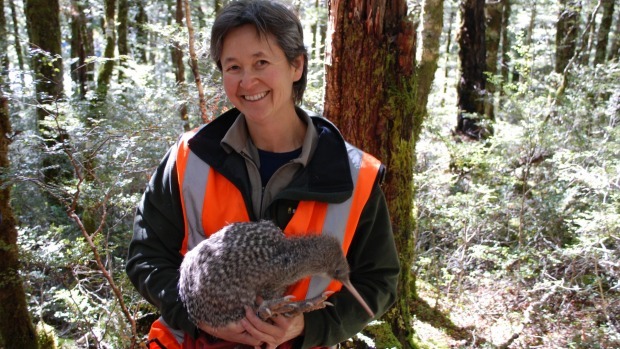 She has gone on to produce chicks of her own that have helped establish the Bream Head kiwi population. Simply because humans have blundered by introducing exotic predators that have never been in our isolated country. That includes, stoats ferrets, cats, dogs and of course the self introduction of Homo sapiens. By researching their behaviours and needs we can highlight ways that everyone can do their part to protect them and ensuring they continue to survive and thrive for millennia to come. Working with a team of like minded people, both within and outside of DOC, with a shared goal of saving these wonderful animals. Go for a quiet walk in their habitat and hope one walks past in the moonlight. Failing that, take a trip to Stewart Island and perhaps see a tokoeka amble past in the middle of the day. Seeing a kiwi in the wild, doing its own thing—probing, running and calling is magical. Great work, Rogan, Sandy and Jack. Thank you on behalf of all New Zealanders.